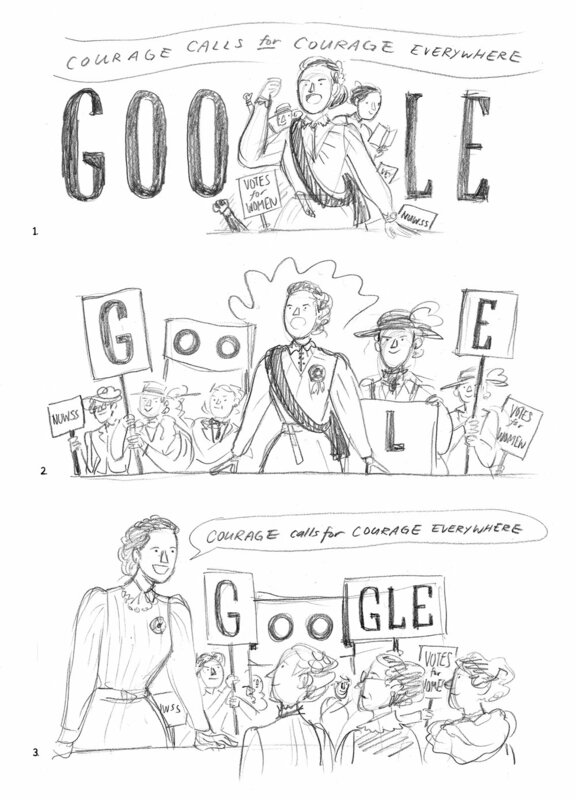 Google Doodle for Millicent Fawcett's 171st birthday on 11th June 2018. Google's blog post can be found here. It's also featured on Mashable and Daily Mail. Many thanks to AD Cynthia Cheng!